Carol M. Panza is known for her outside-in, results/accomplishment-focused analysis skills for effective, sustainable performance improvement. She uses organization mapping as a key analysis tool and is very experienced at helping others to build their analysis skills. 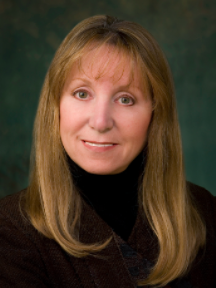 Carol was Senior Associate at Applied Performance Analysis and The Rummler Group before forming CMP Associates in 1985. Carol has worked with clients from a broad range of industries and countries. She is very active professionally, serving since 2007 on the Board of the International Federation of Training and Development Organizations (IFTDO), including a two-year term as Chair, as President of the International Society for Performance Improvement –Europe, Middle East, Africa (ISPI-EMEA), on the Board of the NJ Chapter, ISPI, and on the international Board of ISPI, 2001-2003. Carol was also Project Manager, along with Roger Addison, for the first very successful ISPI Community Service Project, undertaken for the outstanding Settlement Music School (SMS) in Philadelphia. Carol was the recipient of the ISPI Distinguished Service Award (2007) and named Honorary Life Member of the Society in 2014. She holds an MBA and is a CPT. Her publications include many articles, book chapters and a book, entitled <Picture This . . . Your Function, Your Company>. This session presents organization mapping as a tool that supports an outside-in approach to organization-results focused opportunity analysis for achieving valuable and sustainable performance objectives. That is, organization-results focused opportunity specification is the critical first step. And, Organization Mapping is a tool that helps users to describe the essential big picture, while also establishing the essential framework for defining the requirements for the internal moving parts that drive organization-level performance. However, though absolutely critical, opportunity identification is not enough. After all, it’s realizing improved or targeted results (performance) that’s the reason for undertaking analysis in the first place. So, this session will also focus on using organization maps to engage and involve the people, at all levels, who ARE the organization, to take the actions required to resolve problems, remove obstacles and/or capitalize on opportunities that enable achievement of improved results. Organization Maps have helped us over the last 30 years to help our clients achieve improvement objectives, . . . and then some. Join us to learn more about this very visual and engaging tool.